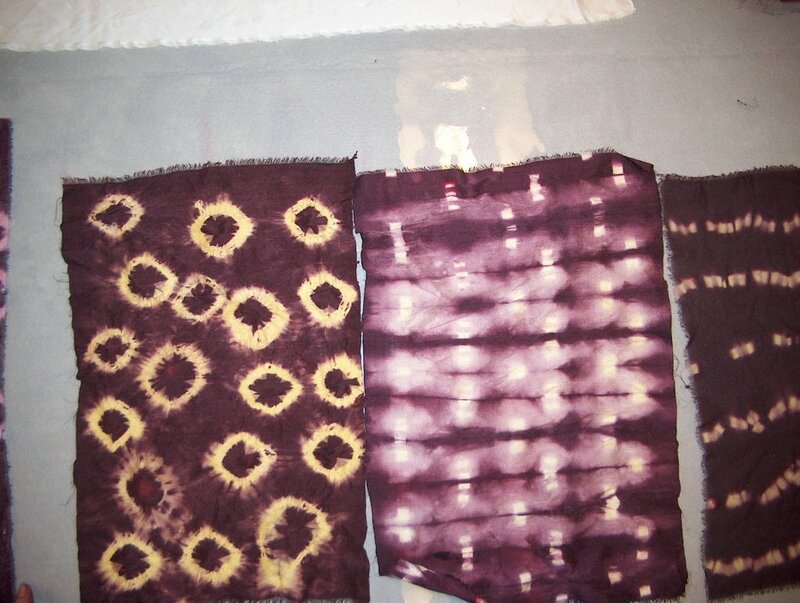 Overdyed silk fabrics, using only natural dyes. Some of the base colors are yellow - weld, some are pink - cochineal. 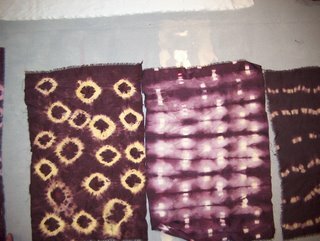 Madder lac was used for the overdye.